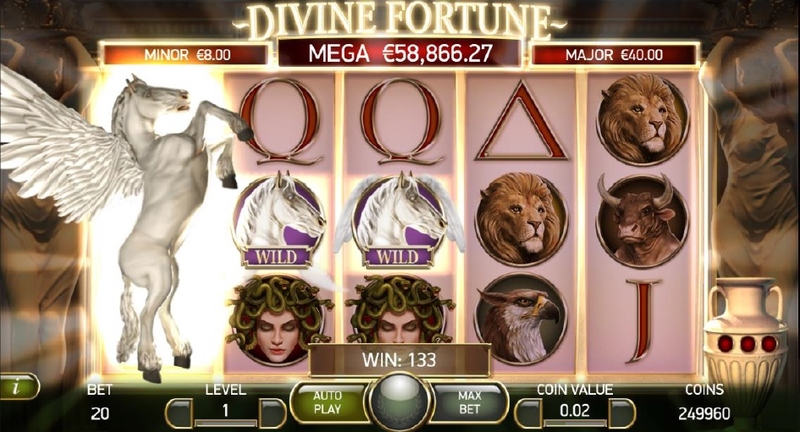 Ancient Greek Mythology meets Progressive Slot! 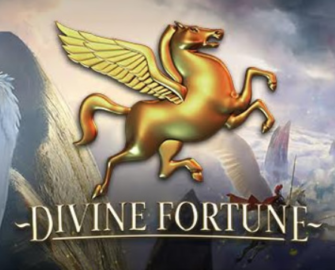 Divine Fortune, Netent’s newest slot on the block will be a progressive jackpot game with a strong reminiscence of ancient Greece and a world of mythical creatures, golden coins and legendary riches. 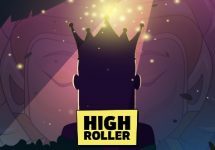 With 3 localized jackpots and a host of typical slot features such as Free Spins, Wild Re-Spin and something new that Netent named Wild-on-Wild feature the game is promising not just good entertainment but also massive wins. 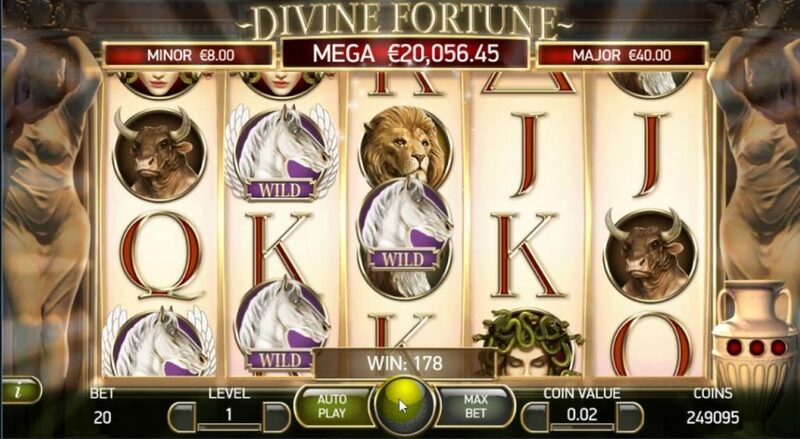 Whether it will be able to hold up against other Greek themed slots like Zeus from WMS or jackpot games like Mega Fortune remains to be seen when it is released into the online casino world on 27th January 2017. At first glance the graphics and animations look flawless and very crisp. The game window is flanked by two ancient statues reminding the player of the Greek slot theme, a vase on the right side will hold and indicate the number of collected coins for the Jackpot Bonus Game. The expanding Pegasus, especially when it happens on multiple reels, is indeed impressively animated. Setting bet level, coin value and auto spin is straightforward although yet again Netent opted for fixed pay lines, which will never be my preferred choice. I guess it makes for easier programming since modern games in HTML5 format have to work seamless across multiple platforms. Pay symbols are divided in low paying J’s – A’s and high paying mythical figures like Medusa, Minotaur, Griffin, Lion and ultimately Pegasus as wild symbol. Scatters appearing on all 5 Reels are a hand holding a lightning strike symbol with a “Free Spins” sign at the bottom. Golden Coins land randomly on the reels and are collected in the vase, each illuminating one light, for the Jackpot Bonus game but only when a Wild-on-Wild feature is in progress. Divine Fortune is a 5-reel, 3-row, 20-line (fixed) slot with a Free Spin bonus round with 5, 8 or 12 Free Spins, Falling Wild Re-Spin, Wild-on-Wild Feature and the Progressive Jackpot Bonus Game. 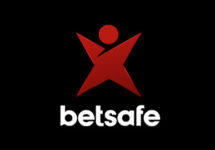 Best sizes are from €/$/£ 0.20 – 100 with a maximum win of 600x total bet in the main game. The slot features a Minor, Major and the Mega Jackpot with the latter being progressive and the smaller ones fixed multiples of the triggering bet. RTP is stated with 96.59% which includes payouts from the 3 Jackpots. The slot is in HTML5 format with medium variance and will be available for play on Desktop, Mobile and Tablet. Minimum one Pegasus symbol landing on any reel will trigger the Falling Wild Re-Spin feature. After the win for the triggering spin is paid the Wild will shift one position vertically and the reels spin again delivering potentially more wins. Every further Wild will keep the Re-Spin feature active until the last Wild has dropped of the screen and the reels have spun one more time. A Wild landing in the Re-Spin behind the shifting Wild will trigger the Wild-on-Wild Feature. Pegasus will expand, covering the whole reel and 3 Re-Spins are given with Pegasus dropping one position vertically on each spin until it disappears. 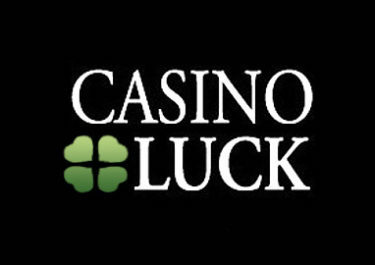 Jackpot Bonus Game symbols landing anywhere on the screen during an active Wild-on-Wild Feature are collected in the vase standing on the right of the slot window, with minimum 3 needed to trigger the jackpot bonus game. 3, 4 or 5 scatters anywhere on the screen will trigger the Free Spin Bonus Round. 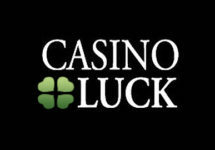 The player is given 5, 8 or 12 Free Spins, corresponding to the number on scatters. Each Pegasus Wild symbol will become now a Wild-on-Wild Feature, giving the potential for more winning combinations. There are no multipliers and Free Spins cannot be re-triggered. Golden Coins landing anywhere on the reels during an active Wild-on-Wild Feature get transferred into the vase on the right side of the game window, illuminating one of the lights. Collecting minimum 3 coins while the feature is active will trigger the Jackpot Bonus Game after the Wild-on-Wild Feature ended. The collected coins are placed randomly on the reel positions and 3 spins are awarded with each position being a reel. 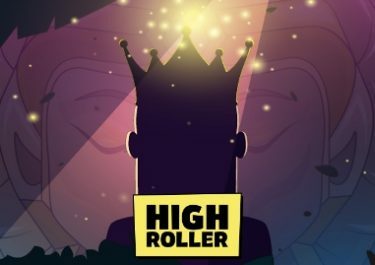 Every time another coin lands anywhere on the screen a random bonus amount between 10 – 200 x bet is awarded and the spin count is reset to 3. Coins are sticky during the bonus game and the target is to complete 1, 2 or all 3 rows with coins. The game ends when no further coins land within 3 spins. The Minor / Major / Mega Jackpots are won with 1 / 2 / 3 entire rows with coin symbols. First impression is that of a crisp and well designed slot. The base game features should provide regularly good wins. The Jackpots though are the downfall in my view as they are localized instead of the usual pooled versions with the 2 smaller jackpots being fixed at 20x and 100x bet and only the major one actually being progressive. The starting value of the major jackpot is hence also set very low at just $10,000 leading to possible high 5-figure wins or maybe the odd low 6-figure when triggered. That is far from the life changing jackpots of the likes of Mega Fortune or Hall of Gods.